Adults with congenital heart disease have considerably higher rates of stroke compared with the general population, according to research published in Circulation. To examine the risk, frequency, and strongest predictors of stroke in patients with congenital heart disease, Jonas Lanz, MD, MSc, of the McGill Adult Unit for Congenital Heart Disease Excellence in Montreal, Québec, Canada and colleagues retrospectively analyzed stroke data for 29,638 patients (ages 18 to 64) with congenital heart disease from the Québec Congenital Heart Disease Database between 1998 and 2010 and compared their stroke rates with the general population in Québec. The researchers found that the cumulative risk of ischemic stroke in adults with congenital heart disease up to age 64 was 6.1% (95% CI: 5.0-7.0%) in women and 7.7% (95% CI: 6.4-8.8%) in men, and the risk of hemorrhagic stroke was 0.8% (95% CI: 0.4-1.2%) in women and 1.3% (95% CI: 0.8-1.8%) in men. Nearly 9% of men and 6.8% of women with congenital heart disease experienced at least one stroke before age 65. In adults under age 55 with congenital heart disease, this represents an ischemic stroke rate 9 to 12 times greater than what is seen in the general population, and in adults between ages 55 and 64 with congenital heart disease, this rate is 2 to 4 times greater than that experienced by the general population. For hemorrhagic stroke, this represents a 5 to 6 times greater rate in adults with congenital heart defects under age 55, and a 2 to 3 times greater rate in adults between ages 55 and 64. The researchers found that the strongest predictors of ischemic stroke in adults with congenital heart disease were heart failure, diabetes, and recent myocardial infarction. 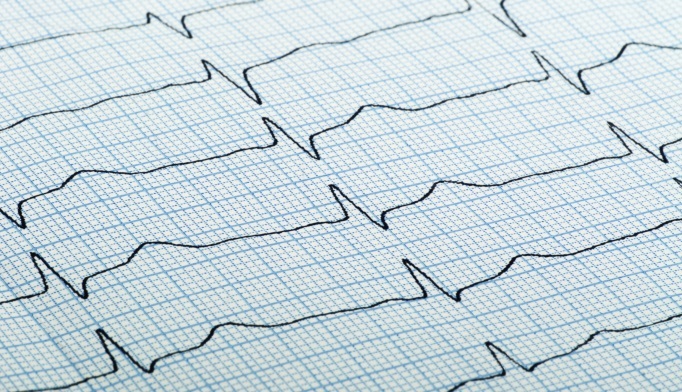 “We knew there was a connection between heart failure and stroke in patients with heart defects, but we were surprised to discover it was the strongest predictor,” said study author Ariane Marelli, MD, MPH, professor of medicine at McGill University in Montreal, Quebec, Canada in a press release. “Our study also suggests that other well-known risk factors for stroke, such as irregular heartbeat and high blood pressure may be under-detected in patients born with a heart defect,” said Dr. Lanz. Because adults with heart defects are at an increased risk for stroke, Dr. Marelli stressed that they should regularly visit a cardiologist to help reduce their stroke risk through timely detection and treatment of modifiable risk factors. “Patients, their families, and friends should also learn the F.A.S.T. signs to recognize stroke and understand how to get professional medical help quickly if they believe they are having a stroke,” Dr. Marelli added. The researchers concluded that further research is needed to determine if detecting risk factors early and advances in managing congenital heart disease may reduce this substantial stroke risk. Lanz J, Brophy J, Therrien J, et al. Stroke in Adults With Congenital Heart Disease. Circulation. 2015; doi:10.1161/CIRCULATIONAHA.115.011241.